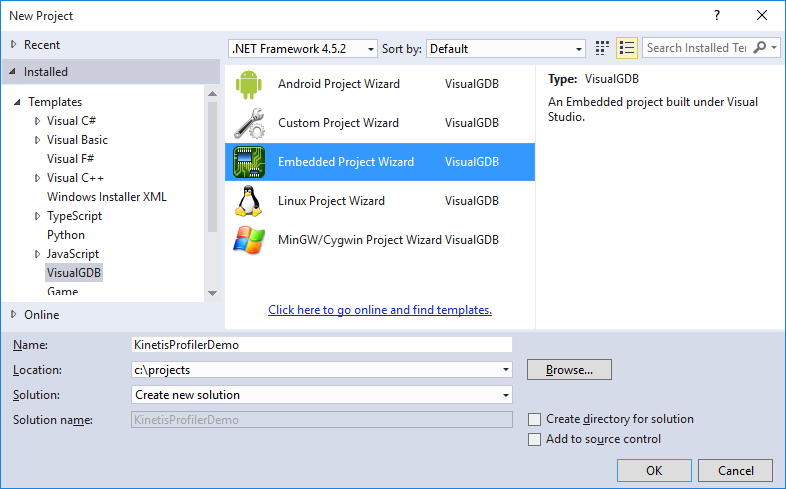 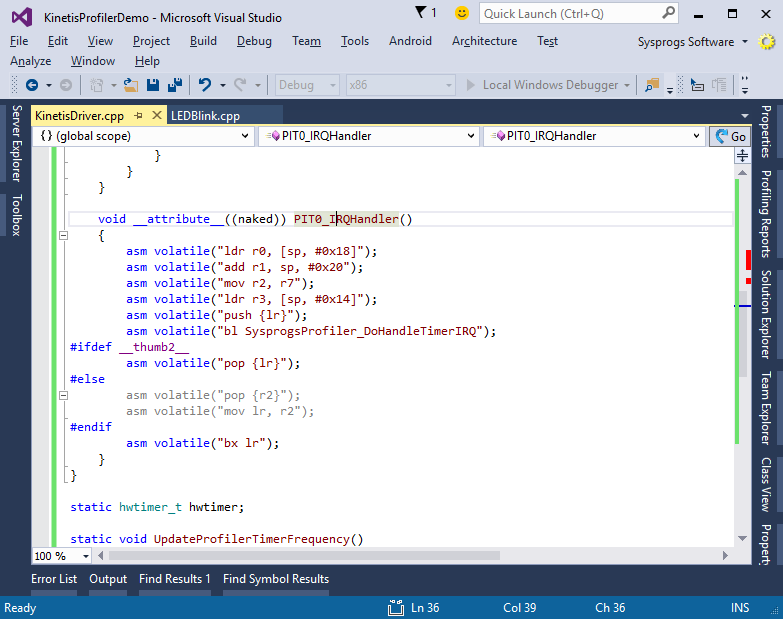 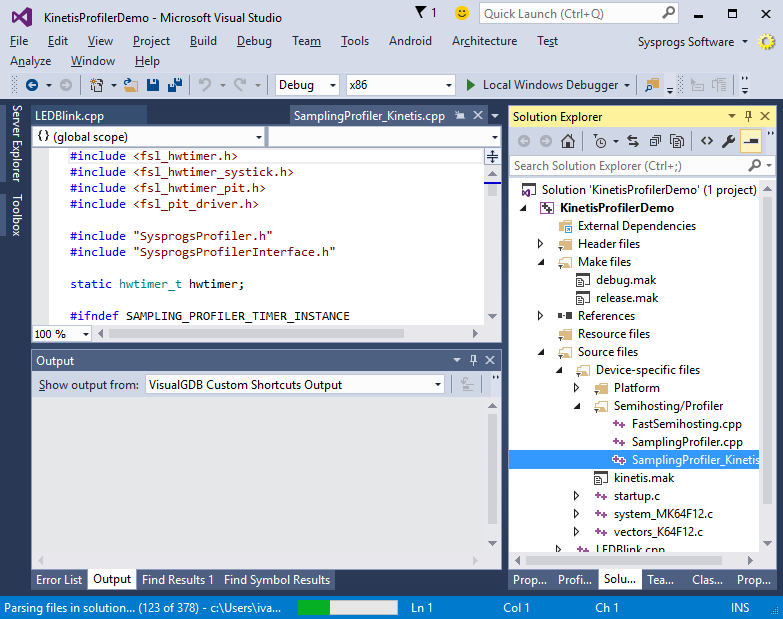 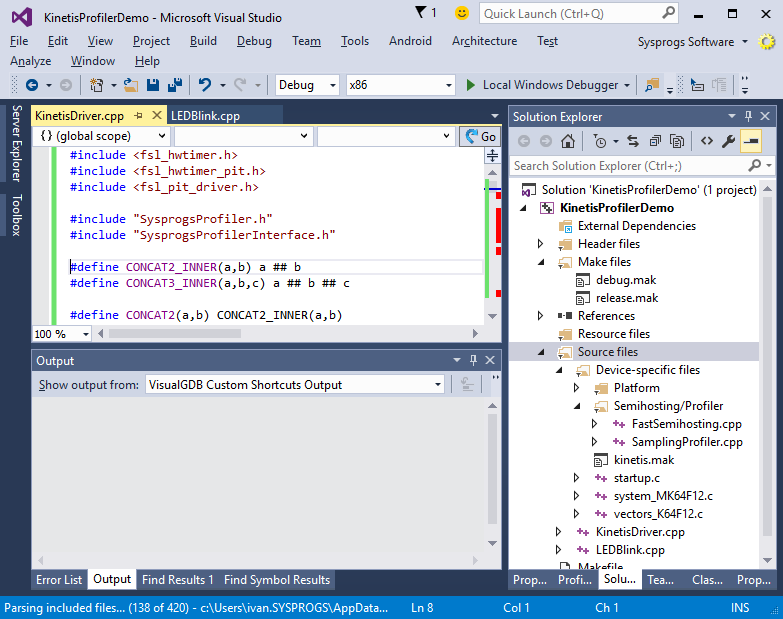 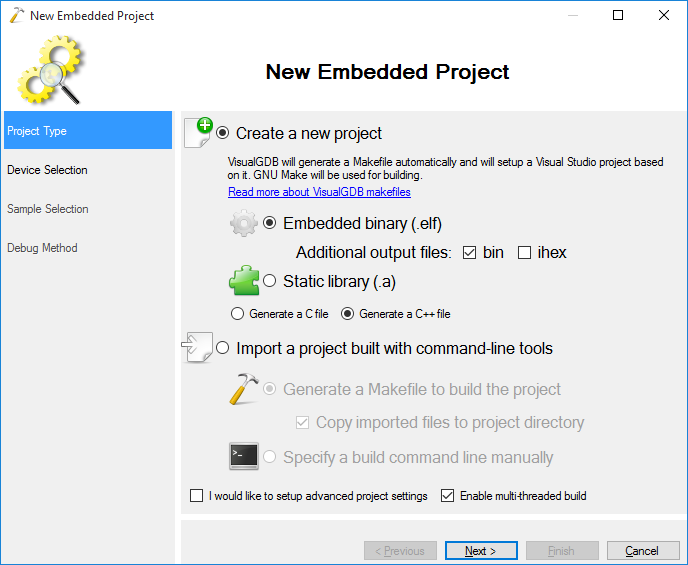 This tutorial shows how to add support for more platforms to the VisualGDB Embedded Profiler. 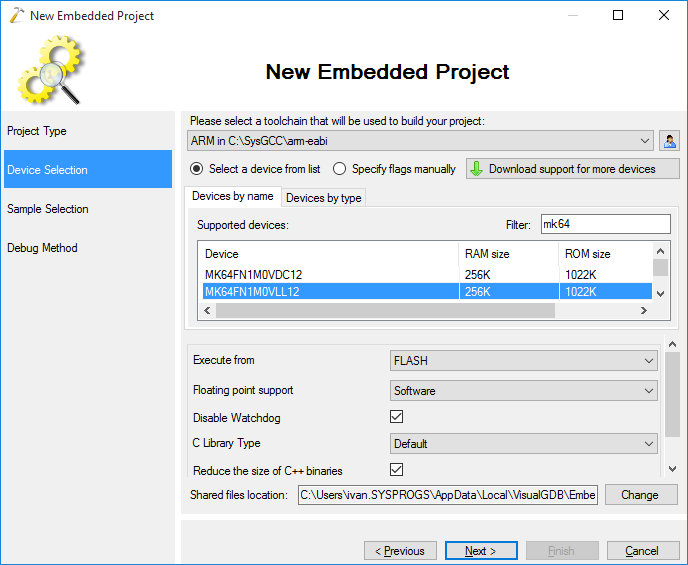 We will create a project for the Freescale Kinetis FRDM-K64F board and modify the STM32 profiler driver to support the Kinetis board. 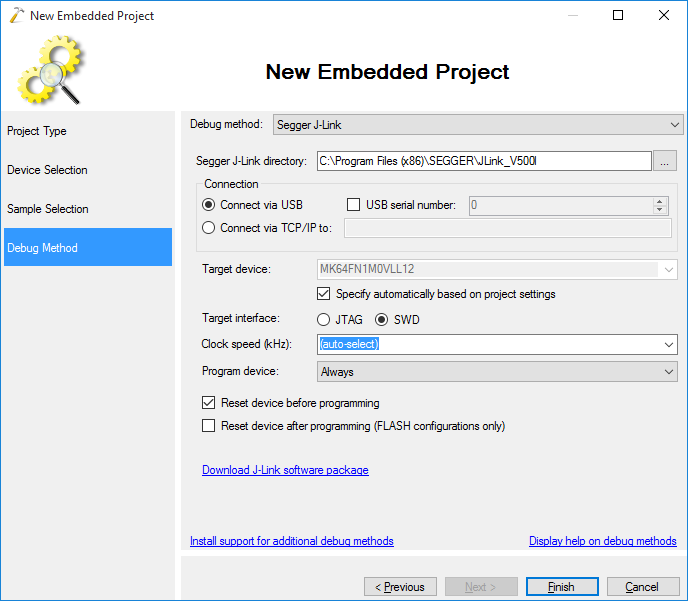 As of VisualGDB 5.1 Preview 1, the profiler framework contains drivers for STM32, Freescale Kinetis and Nordic nRF51 devices. 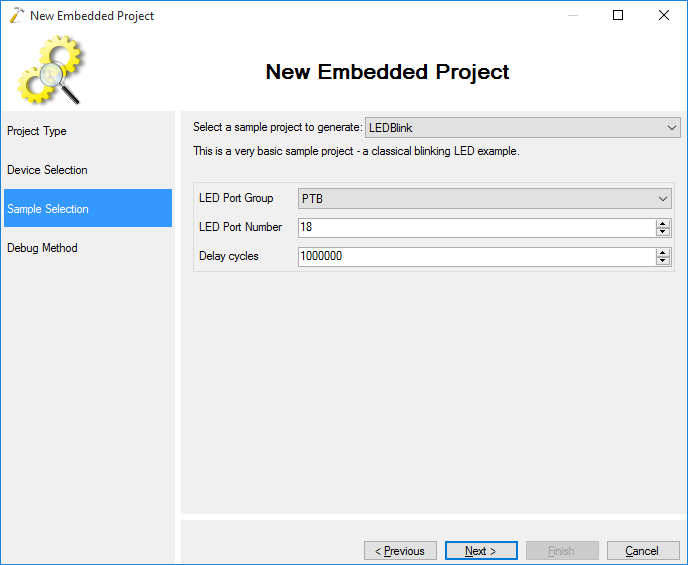 We use Freescale devices in this tutorial to explain the structure of a driver and explain how to create one. 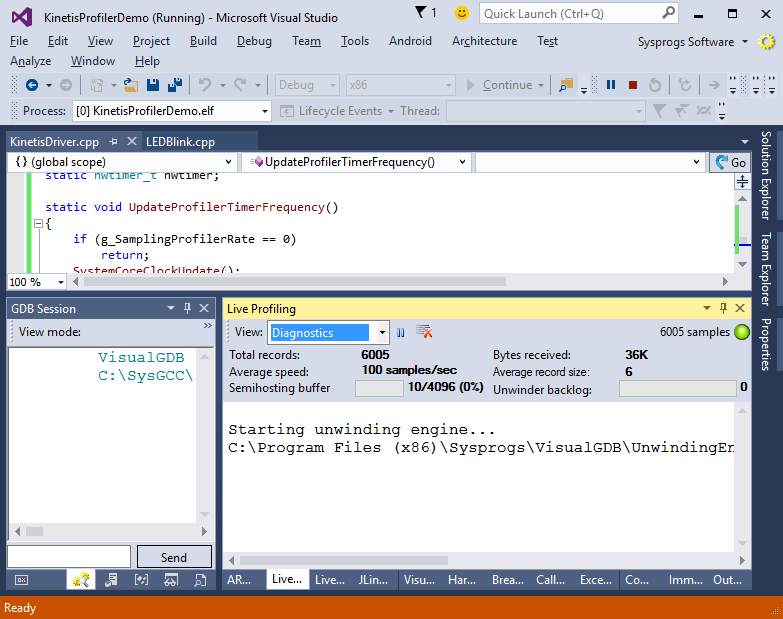 Note the code checking the g_SamplingProfilerRate variable. 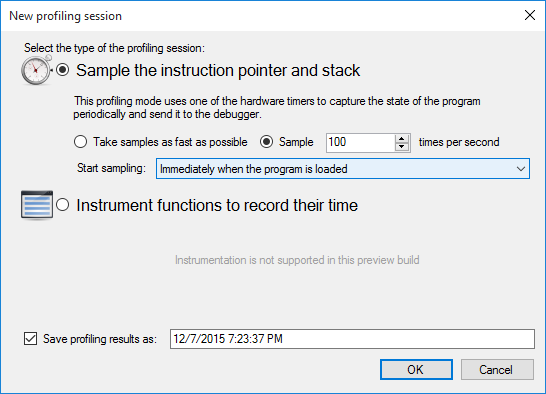 If the automatic rate adjustment is enabled, the logic inside SysprogsProfiler_ProcessSample() may decide to adjust the timer frequency. If it does that, the g_SamplingProfilerRate will be set and your driver is responsible for applying it. 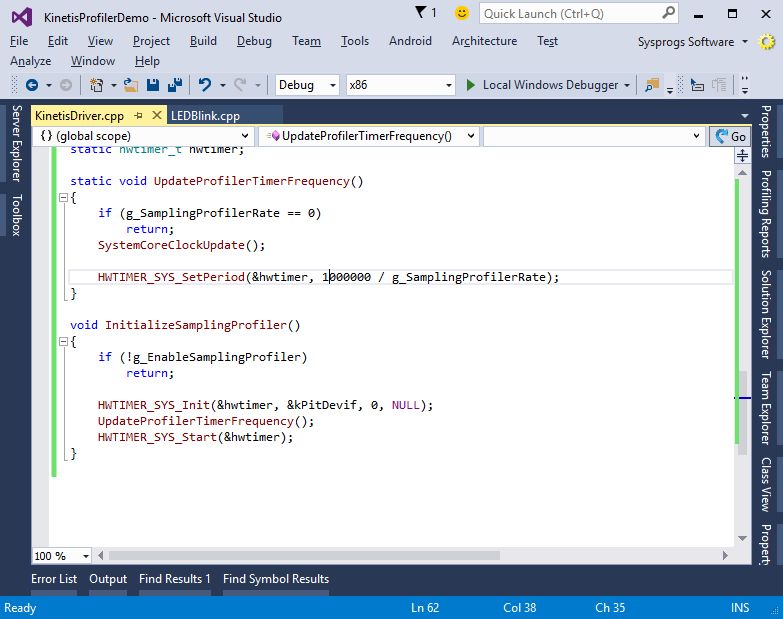 Do not forget to call InitializeSamplingProfiler() from your main() function and you are good to go. 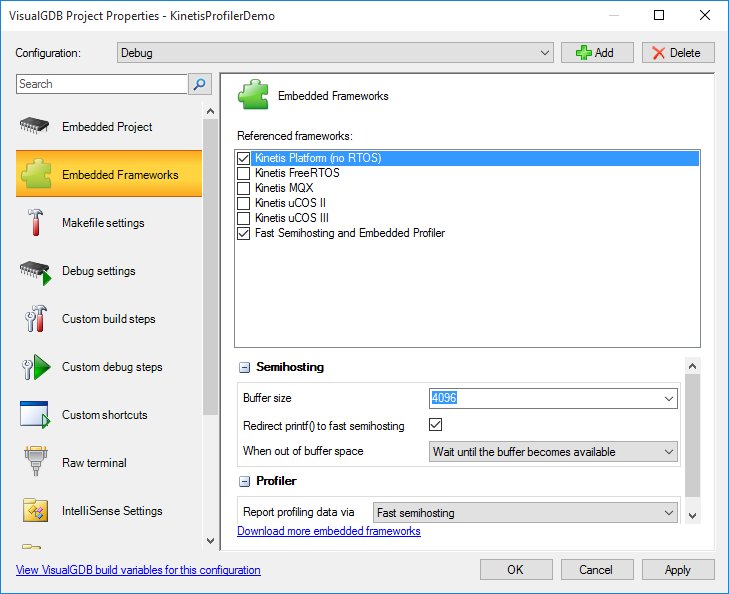 Build your project and select Analyze->Analyzer Performance with VisualGDB to start profiling: In this example we will select a fixed rate of 100 samples/second to check that the rate is set correctly.